Amna Singh, Editorial Consultant (Digital), Pratham Books writes about the recent StoryWeaver workshop with students and teachers from the VIDYA Foundation in Mumbai. It all began a couple of months ago with the Pratham Books’ StoryWeaver workshop in Mumbai. 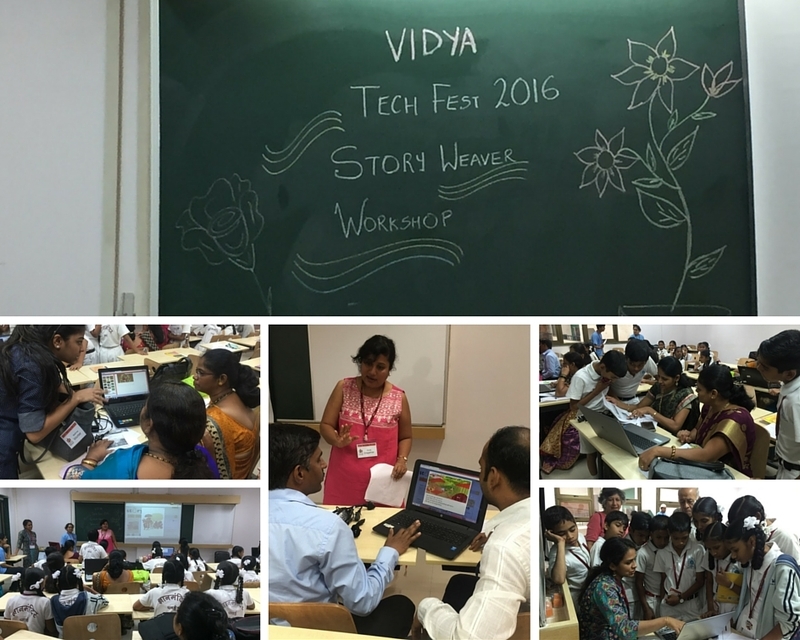 Volunteers from the VIDYA foundation participated in this workshop and fell in love with StoryWeaver and how! They experimented with our user-friendly platform and created books by themselves like 'Am I Alone' and 'Nanni’s Birthday Gift’ . Teachers also initiated the students of the foundation into the StoryWeaver world which led to the creation of 'Gabbar is Back'. The enthusiastic group of VIDYA teachers decided to share this magic with their VIDYA team peers. So on a crisp Saturday morning on the greens of the IIT campus, Mumbai a bunch of curious children, a few equally wide-eyed teachers and StoryWeaver got together. 40 students from Gyanmandir school and teachers from various other schools in the vicinity gathered together in a classroom to learn all about StoryWeaver: open source, multilingual digital platform of Pratham Books. The enthusiastic teachers of VIDYA foundation took them through all the aspects of StoryWeaver - right from reading to re-levelling. Participants read stories out loud, created funny tales and worked in groups to explore more and then some more. 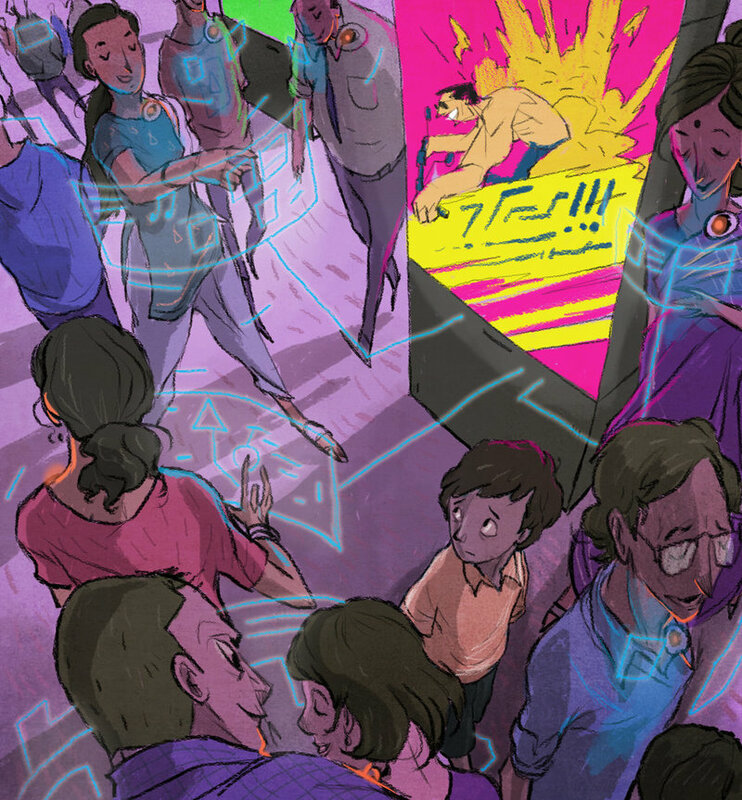 The ever growing number of stories, the rich bank of illustrations and the come-do-it-yourself access and design of StoryWeaver, was all at their fingertips, helping their imagination get wings. Would you like a little StoryWeaver magic? If your organisation is interested in conducting a StoryWeaver workshop for educators drop us a line at storyweaver@prathambooks.org and we'll get back to you. 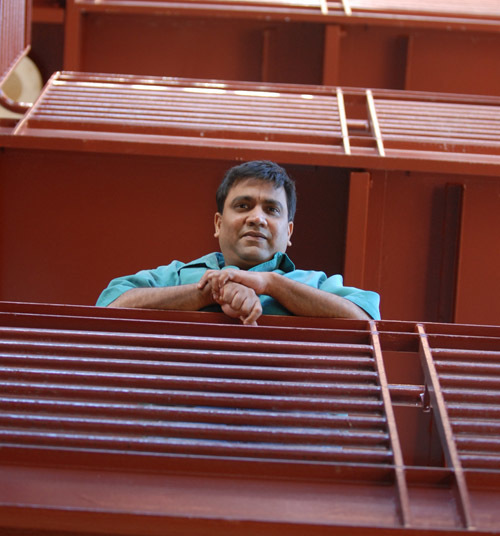 Roopa Pai is a computer engineer who always knew she was going to write for children. 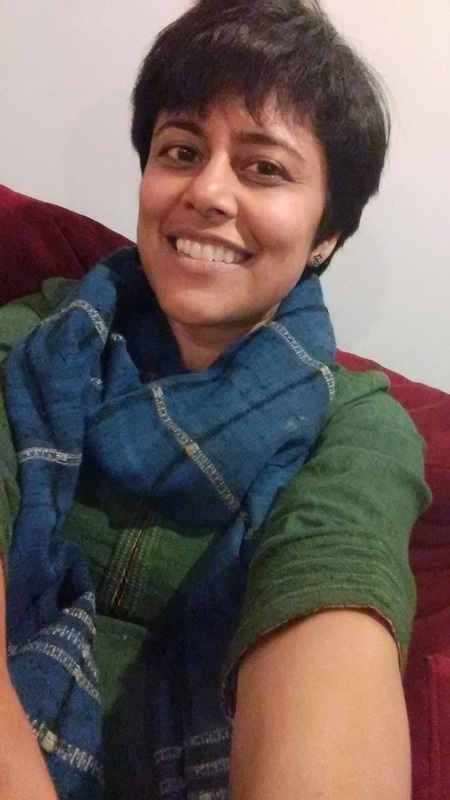 She is the author of Taranauts, India's first fantasy-adventure series for children in English,and several others, including some for Pratham Books. Her latest bestseller is 'The Gita For Children'. This is why I love my job. Every so often, a project comes along that holds out the tempting prospect of a never-before challenge. I take such projects on with (an admittedly nervous) alacrity, because a challenge helps to keeps things fresh - it forces one to shift gears, to look at things through someone else's eyes, to tap into hitherto unexplored veins of creativity. And when it has been met to the best of one's ability, a challenge leaves one with a sense of accomplishment, of life having been enriched in some small way. It was precisely such a challenge that Pratham Books' Storyweaver initiative dropped into my lap a few months ago. We want to create wonderful new stories, they said, and we want to create them quick. We want to hear new voices, on a myriad subjects. We want to help children discover disparate worlds - math, the environment, artificial intelligence, good values - through stories that are fun, engaging, and lushly illustrated. And we want to share them all, translated into a dozen different languages, with the world. And once it is all online, they said, their eyes shining, anyone, anywhere in the world will be able to read them, for free! What's more, anyone, anywhere, can download them, print them, distribute them, translate them into any language in the world, use pictures from different books to weave new stories, or weave together different story threads to spin out brand new tales. Wasn't it all terribly exciting? And would I please be part of it? It most certainly was, I said. And of course I would! And that's how I landed my first job as editor. 'Guest editor', more correctly, with the responsibility of finding new children's writers, and generating, through them, four stories involving maths. The stories could be fiction or non-fiction, but they would have to deal with mathematical themes. As a sop to a first-time editor, they graciously allowed that I could write one of the stories myself. I tossed ideas around in my head - what themes existed in primary-school level maths? Numbers, distances, patterns, measurements, arithmetic... What stories could be woven around them? The Storyweaver team and I went back and forth for weeks, until we came up with a list of ideas that we all agreed held promise. Then I went out to look for my crack team of debutante writers. I didn't have to look far. Over the past couple of decades, I have had the pleasure of interacting and working with a number of talented, accomplished people who also work with children, but not necessarily as writers. When I had sliced and diced that contacts list to find people with backgrounds in science and / or math, AND people who lived in Bangalore (this for no other reason than that editorial meetings could then involve lots of laughing and chai-drinking), three names emerged. Fortunately for me, they all agreed instantly to be collaborators on an adventure that was new for all of us. And who were these three people? There was Gayathri Tirthapura, who trained as an engineer at REC (now NIT) Surathkal, before going off to the US for a double masters (Masters in Science from Stanford, Masters in Education from Harvard) and 10 years in the telecom industry. Since she returned a few years ago, Gayathri has run Kutoohala, a children's activity centre, library and bookstore where she puts all her theories on what makes for a fun, enriching education into practice. There was Sukanya Sinha, a PhD in Physics from the University of Maryland, who has held research positions in several scientific institutes not just in India but elsewhere and is now a Visiting Professor at the Indian Statistical Institute. But Sukanya is also as much at home with demystifying complex scientific concepts to children - she is part of the founding team of Curiouscity, an organisation that promotes creativity in science among young people. And there was Shonali Chandy Chinniah, a marine biologist from Cornell who has taught undergrad courses at both American and Indian universities, apart from conducting educational tours at the New Jersey Aquarium and working with NGOs in India to promote science education among the less privileged. Shonali is also part of the founding team of Curiouscity. Over the course of the next few weeks, at several delightful and wonderfully stimulating editorial meetings (given the formidable - and creative - brainpower I was dealing with, it could not have been any other way), we picked different ideas, toyed with them, wondered if they would work better as fiction or non-fiction, and drank plenty of chai. Then everyone went off to write their stories. The results of that most enriching experience is - or will soon be - up there on Storyweaver for all of you to enjoy. Already up are Sukanya's awe-inspiring non-fiction story on distances - 'How Far is Far? 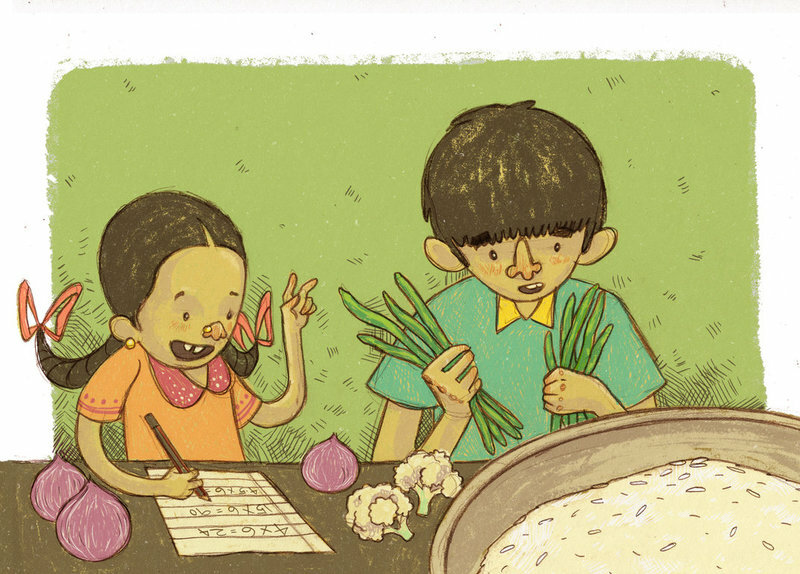 ', and Gayathri's heartwarming fiction story on math in cooking - 'Dum Dum-A-Dum Biryani'. Coming up soon are Shonali's enjoyable non-fiction story - The Fabulous Fibonaccis - on the endlessly fascinating number sequence called the Fibonacci (or Hemachandra) sequence, and my own fiction story based on history and arithmetic - How Old Is Muttajji? How would I rate my editorial challenge on a scale of 1 to 10? I would go off the scale - it's all allowed in maths - and say 0. Because, like that old song goes, no matter how big the challenge, you can always get by with a little help from your friends.